Do you know about the myriad of CBD hemp oil benefits? You may have been hearing about this relatively new health remedy called CBD oil (which stands for cannabinoid oil). CBD oil comes from the hemp plant. I’ve been hearing rumblings about it for a couple years and have heard nothing but great things. 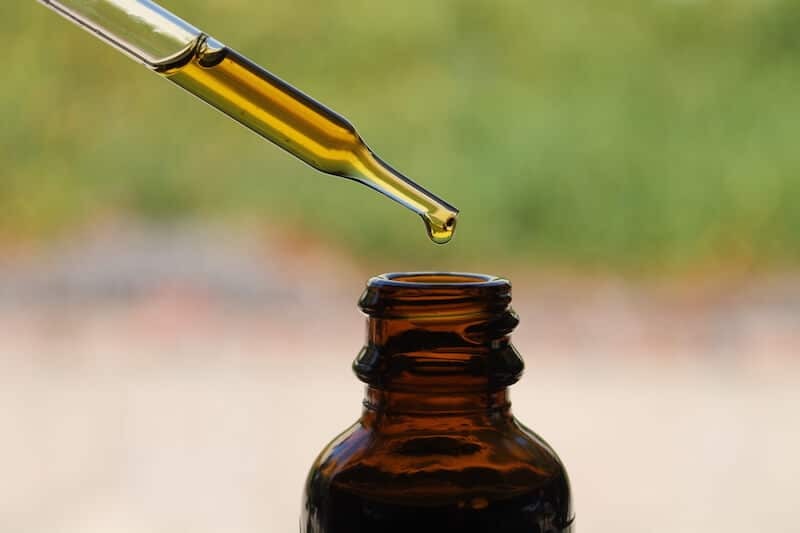 In today’s article, I’m going to tell you all about CBD oil…what it is, what it does, my experience with it and how to get it! You’re probably familiar with marijuana. This CBD oil comes from hemp not marijuana. There are two compounds in the cannabis plant that can affect people– THC (tetrahydrocannabinol) and CBD (Cannabidiol). THC is the stuff that is responsible for getting people high and creating the psychoactive effects that you are familiar with when it comes to marijuana. CBD on the other hand is different. It is not marijuana, it’s hemp. It doesn’t get you high and doesn’t create any psychoactive effects. CBD reacts with receptors in your brain to support wellbeing, relaxation and other positive reactions…all without causing the paranoia or weird high feelings that you’d get with THC. So…will it get you high?? CBD oil is extracted from the hemp leaves and flowers and contains little to no THC (which is the stuff in marijuana that gets you high). It is mainly cannabidiol which has shown to have many positive effects on the mood, immune system and joint health. I am very open to new natural herbs and remedies to help with mood issues, but I was a little skeptical about trying CBD at first because I was concerned it would “get you high” and that REALLY doesn’t work out well for me (it makes me super anxious!). Once I learned it has the great benefits of the hemp plant without the high feeling, I couldn’t wait to try it! A couple years ago I was having very severe sleep issues and tried every natural thing in the book to no avail. Once I heard about CBD oil later on, I thought it would be perfect because it has been known to help sleep without causing the anxiety of being high. And it’s an dietary oil that’s easy to take. So I was really excited to try receptra naturals pure CBD oil because they use organic plants, something that is also very important to me. Receptra naturals is a family owned company based out of Colorado. They use 100% organic farming practices and cultivate all hemp from family owned farms. They also use third party testing on all of their products to ensure safety and publish testing results on their website. Receptra Natural customers have noticed that these CBD products have helped to support joints, recovery, sleep, immune health and more. 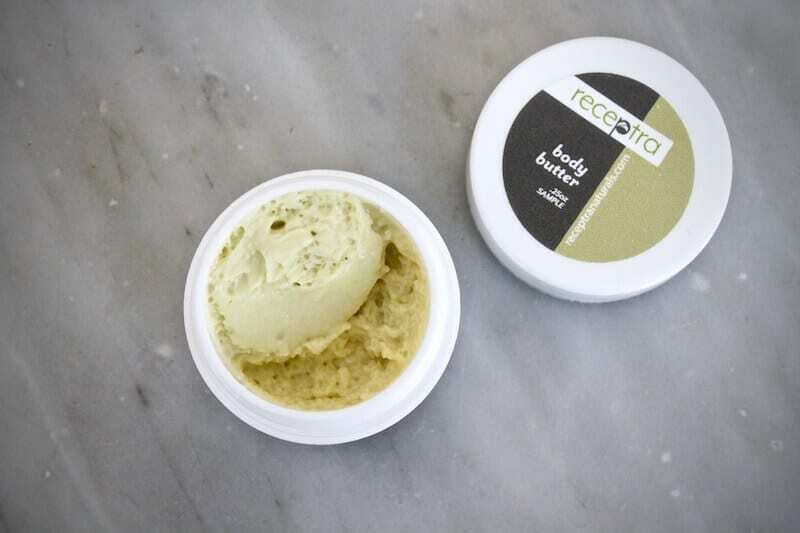 In addition to different types of CBD oil to support wellness, relaxation and activity, Receptra Naturals also offers topical CBD and body butter. Receptra Naturals pure CBD oil is available in all 50 US states. I’ve actually been dying to try CBD hemp oil for a while. I’ve been hearing great things about it for years, but haven’t gotten around to getting any. I’ve heard that people saw a lot of benefits from it for sleep and mood (2 things that I have issues with), so I really wanted to see how it would work for me. Naturally I was over the moon when Receptra Naturals contacted me about trying their pure CBD oil which is organically grown! Unfortunately, there are a lot of CBD hemp oil manufacturers that use a lot of toxic fertilizers and chemicals in growing their hemp, so I knew I wanted to try one that is organic. 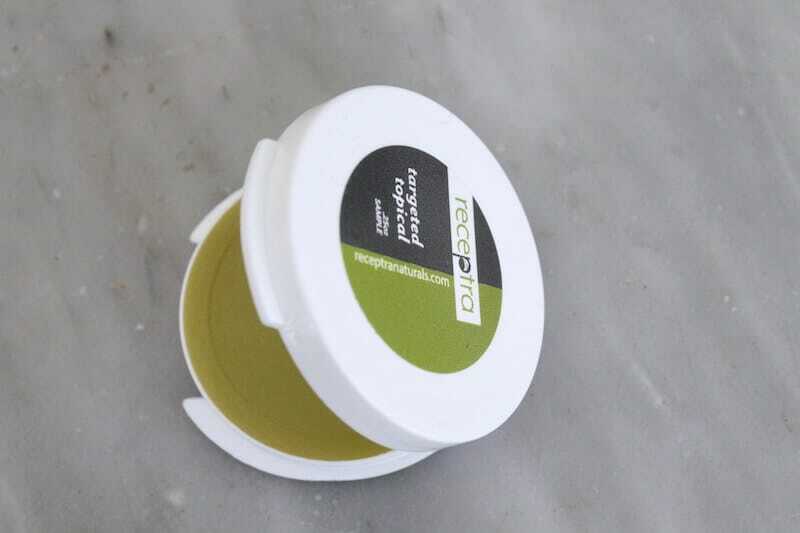 When I spoke to the representative from Receptra Naturals, she mentioned that everyone reacts a bit differently to CBD oil. I had asked her if there was a specific one for sleep and she said that the Prime one works great for her, but for some people it can actually help a bit more with focus and energy. So she recommended trying it after dinner. That way if it makes me sleepy, I’ll just go to bed early and if it gives me a bit of energy, I won’t be up too late. The first night I tried it I took a dropper full after dinner. I definitely noticed something after taking it. My body felt very relaxed and I was pretty tired. I did end up going to bed a bit earlier that night. I also took it the second night a bit later and again felt calm and sleepy. As someone who has had sleep issues on and off, I’m really glad to have this in my arsenal to help with calming occasional nervousness. I’m also excited to try it during a time of stress to see if it’s helpful in the moment. I’m going to keep taking it each night because CBD oil is also good for supporting the brain, healthy hormones, the immune system and the nervous system, so I think consistent use could yield even more positive results. Making sure that your body gets plenty of antioxidants is a great way to ensure overall health. Antioxidants help to combat free radicals which are responsible for heart and immune issues. 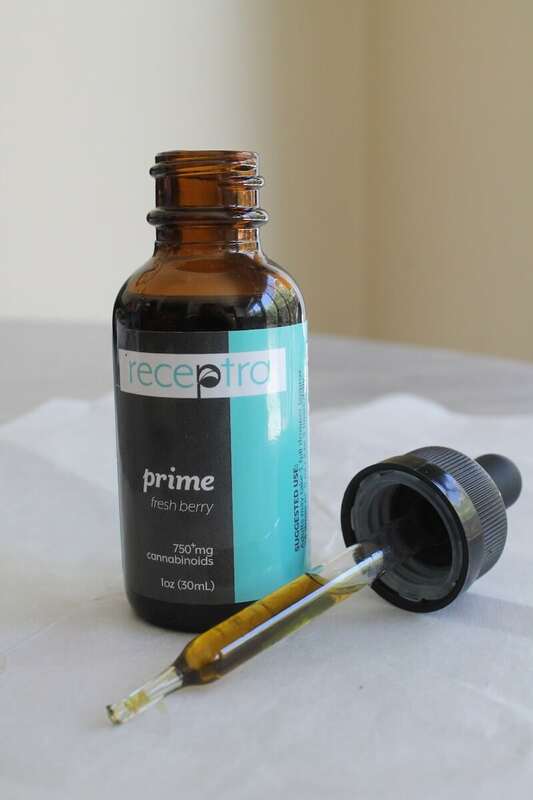 Receptra Naturals pure CBD oil is naturally high in antioxidants. Antioxidants may help with supporting blood flow to the brain and body while helping to combat toxins that affect your health. Inflammation is another big factor in causing a myriad of health problems in the body. Not only does is contribute to aches and pains, but it may also set the stage for heart or metabolic issues. CBD oil may help reduce inflammation thereby supporting healthy joints and overall wellness. In addition, CBD oil may help reduce lactic acid buildup during and after training. We all know that a strong immune system helps keep us healthy and a good diet and lifestyle is crucial, but it’s always important to have another way to boost your immunity in times of stress. CBD oil is an excellent source of omega fatty acids, antioxidants, and other essential nutrients and vitamins that help to support a healthy immune system. What is a neuroprotectant? Well, to put it simply, it’s something that protects your brain, one of the most important organs in our bodies! This is one of the reasons that I was really looking forward to trying CBD hemp oil. I heard great things about its effect on mood. CBD oil is a great way to assist in the body’s natural restoration process and promote homeostasis. It may also help improve blood flow to the brain. One of the complaints I hear most often from my readers is that they are lacking in energy and focus. Trust me, I know the feeling after dealing with severe adrenal fatigue! 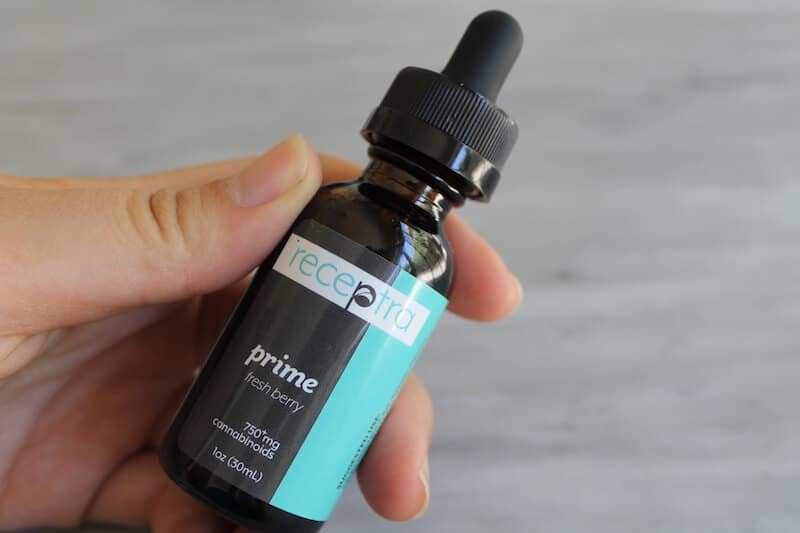 Receptra Naturals’ Active line of pure CBD oil may help support endurance and focus as well as recovery. A total win-win! This is a sponsored conversation written by me on behalf of Receptra Naturals. The opinions and text are all mine. « Is Bread Bad For You? You May be Surprised!